Join StyleChicago.com for the 16th season of FashionChicago® where this fall’s indoor designer pop-up shops will feature Chicago’s finest designers at Revel Fulton Market in the historic West Loop/Fulton Market neighborhood. 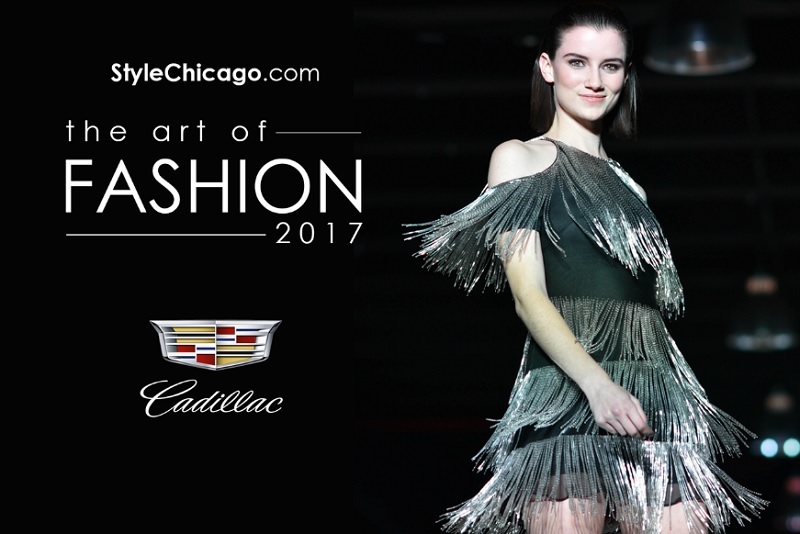 The event will be in conjunction with StyleChicago.com’s The Art of Fashion (Runway Show) presented by Cadillac. • Great music by iHeart Radio and 103.5 KISS FM. • VIP + Goodie Bag tickets range from $75-$150 (Rows 1-6) and include a StyleChicago.com signature Goodie Bag (20+ brands, est. $100+ value). • Cocktail Reception & Runway Show tickets are $65 for seats in Rows 7-10, and $50 for standing room. Not on your computer? Call 1-800-838-3006 (Brown Paper Tickets) for assisted order or buy directly from your phone. Ann Everett * Alcala’s Boutique * Borris Powell * Calvin Tran * Chicago Fashion Incubator at Macy’s on State St. * Christina Karin * Christopher Augmon * Ellie Jay Jewels * F U Clothing * Gidi * Heidi Hess * Idrine Bishweka * J. Markell * Kendall Miles Designs * Mooya Bags * Nomadic Ant * NYET Jewelry * Q by QS * SWABY | Shernett Swaby * Squasht * Suki + Solaine * Takohl * VARYFORM * vFish Designs * 4 Tamara Nicole…and more! StyleChicago.com’s The Art of Fashion (Runway Show) and FashionChicago® are produced by StyleChicago.com. Aruba Aloe * Bliss Spa * Dial * DM Luxury Lifestyle * Dr. Hauschka * Escentric Molecules * Essance * HASK * Honest Tea * InstaNatural * Jane Carter Solutions * Juice Organics * LIFEWTR * LUNA Bar * Real Techniques * Shea Terra * Tantowel * Tend Skin * Trilogy Natural Products * Yu-Be * Z. Bigatti …and more! StyleChicago.com’s The Art of Fashion (Runway Show) presented by Cadillac has been the premiere fall runway show in Chicago since 2010. This fall, all runway show attendees will also be able to shop Chicago’s finest designers at our FashionChicago designer shopping event (5-10pm) that night both before and after the show. StyleChicago.com will be hosting the 16th season of our FashionChicago shopping event featuring one-of-a-kind shopping Chicago’s top apparel, jewelry and accessories designers. Admission to FashionChicago shopping & cocktails from 5-10pm is included with your runway show ticket. For all Sponsorship inquiries, please call (312) 461-9400 or email events@stylechicago.com. Guests must be 21 years of age to attend the Official After-Party.